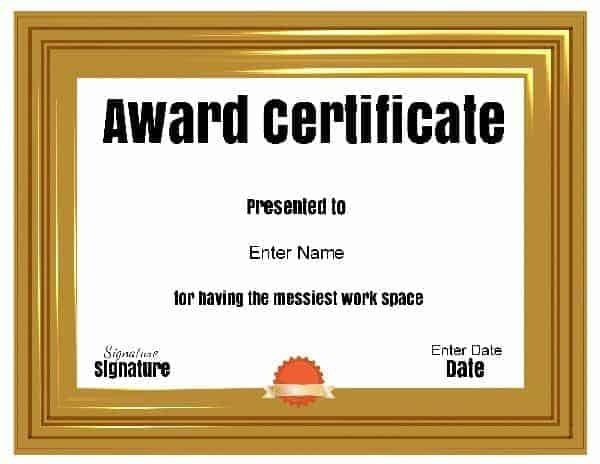 These free printable funny office awards are totally customizable so you can change all of the text, add your company’s name and/or logo and you can even change the frame and ribbon. We have a list of funny award ideas but you can make up your own ideas and change the text accordingly. You can also change the title. 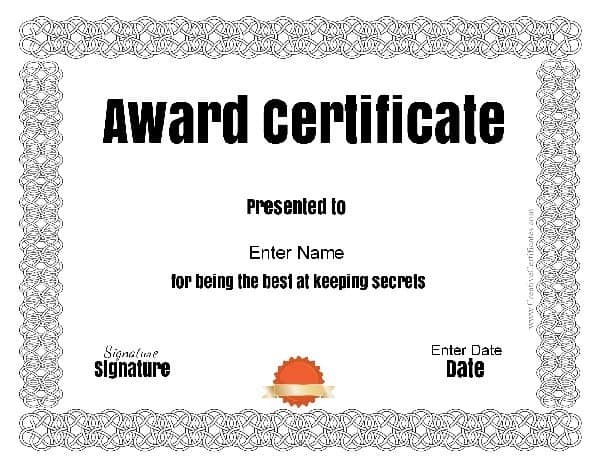 Instead of “Award Certificate” you can think of funny award ideas such as “Scatterbrain Award”. Here is a small sample of the funny awards that you can make but since the certificate templates can be customized the possibilities are endless! Firstly change the text (reason for receiving the funny award). If you want to change the title then just type text instead. 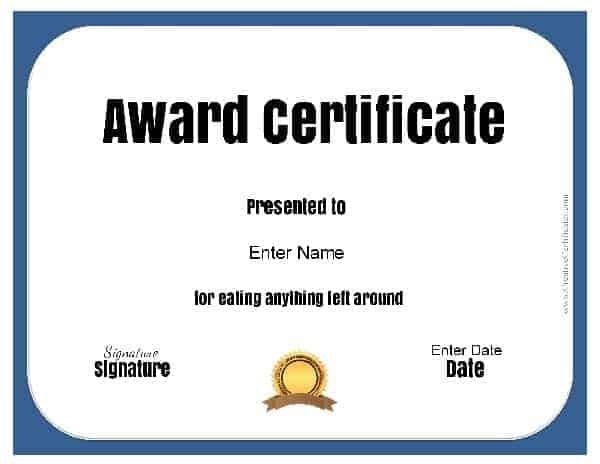 If not, it will read “Award Certificate”. 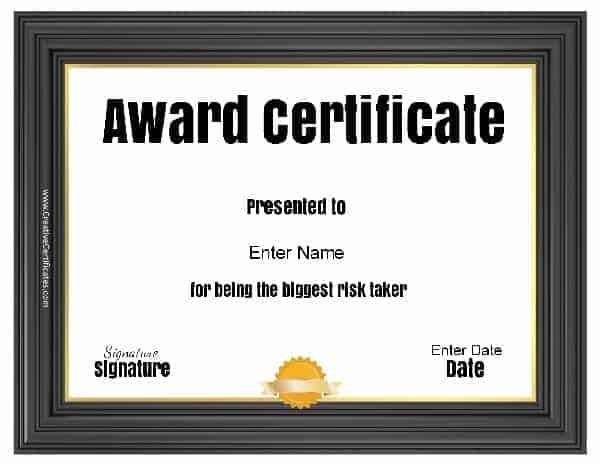 Add the name of the recipient and the date and name of company or person giving the award. If you want to change the border then click on “border” (on the top of the page) and select a border. If you want to change the ribbon then click on “ribbon” under the border and select a ribbon. Click on the download button to download as an image (PNG) or as a PDF document. If you want to create funny office awards for many employees then just change the name and reason for receiving award then click on download. Change the name again and type a new reason and download. If you only change these two lines of text each time then you can keep using the previous changes. This will enable you to create many versions of the award in minutes. 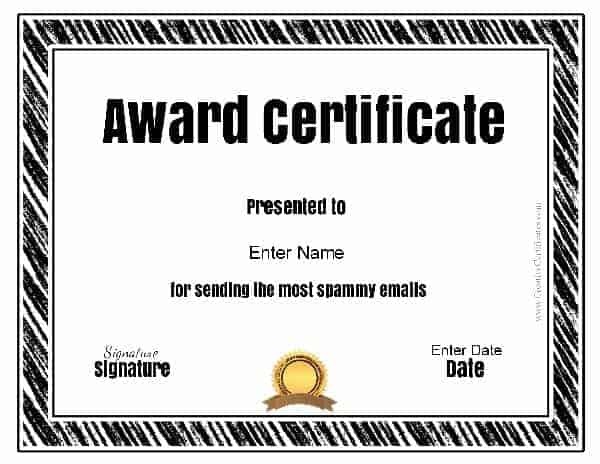 Please leave a comment if you have any other ideas for funny awards!